Super Bowl 53 is heading to the Mercedes-Benz Stadium in Atlanta, Georgia this year, and it’s a fitting location for the big game, considering that the Alabama and Georgia region …. 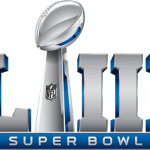 The most fun you can have betting on the Super Bowl is getting action on some of the wild and wacky prop bets that online sportsbooks offer for the big …. The New England Patriots and Los Angeles Rams are set to do battle in Super Bowl 53 in Atlanta, Georgia on February 3rd. The Patriots and Rams each won their …. Betting on the Super Bowl is becoming more popular every year. There is just something about having action on the big game that makes it that much more interesting, especially …. The Super Bowl is the most bet on sporting event each year in the United States, and I expect plenty of betting action on Super Bowl LIII. Unfortunately, neither the …. California has a team in the Super Bowl for the first time since 2013, with the LA Rams booking a ticket to the big game with their win over the …. The #1 ranked Alabama Crimson Tide and #2 ranked Clemson Tigers took care of business in their respective semi-finals to book the National Championship that everyone expected this year. The …. The 2019 Rose Bowl will take place on New Years Day at Rose Bowl Stadium in Pasadena, California. The game will feature the #9 ranked Pac-12 Champion Washington Huskies taking …. The 2018 Peach Bowl will take place on December 29th at Mercedes-Benz Stadium in Atlanta, Georgia. This game will feature the #10 ranked Florida Gators vs the #7 ranked Michigan …. The 2018 Cotton Bowl Classic will take place on December 29th at AT&T Stadium in Arlington, Texas, and feature the #2 ranked Clemson Tigers and the #3 ranked Notre Dame ….